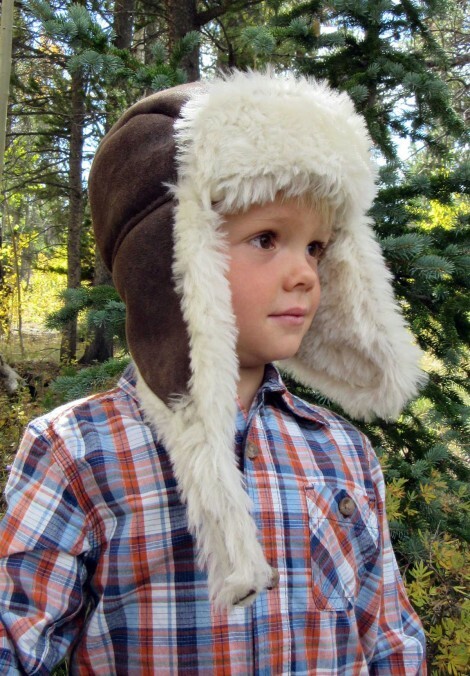 This child’s bomber hat is styled as a replica to match Mom or Dad’s hat. It has the same sheepskin strap that allows you to fold the shearling hat earflaps up or down and keeps your chin warm in addition. 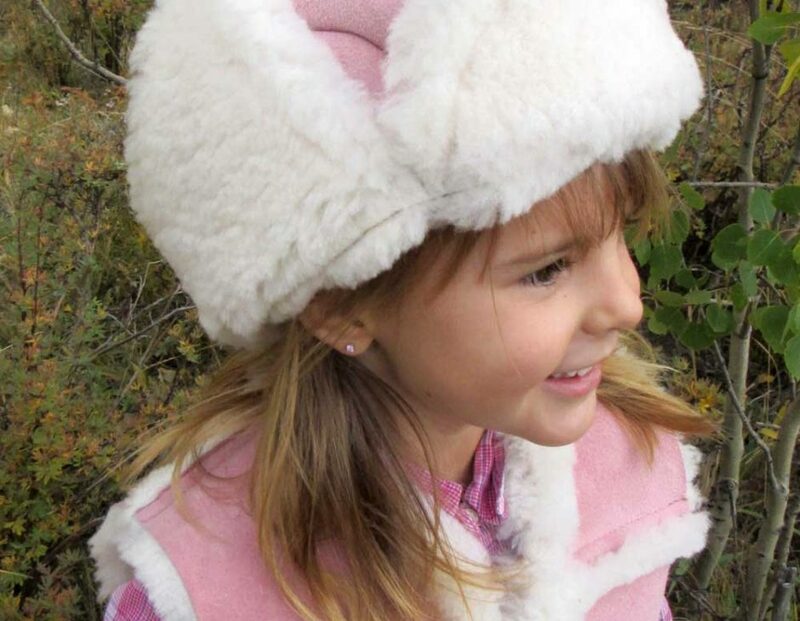 Your child will be the hit of any outing as well as the warmest in the crowd when they are wearing this adorable sheepskin hat. 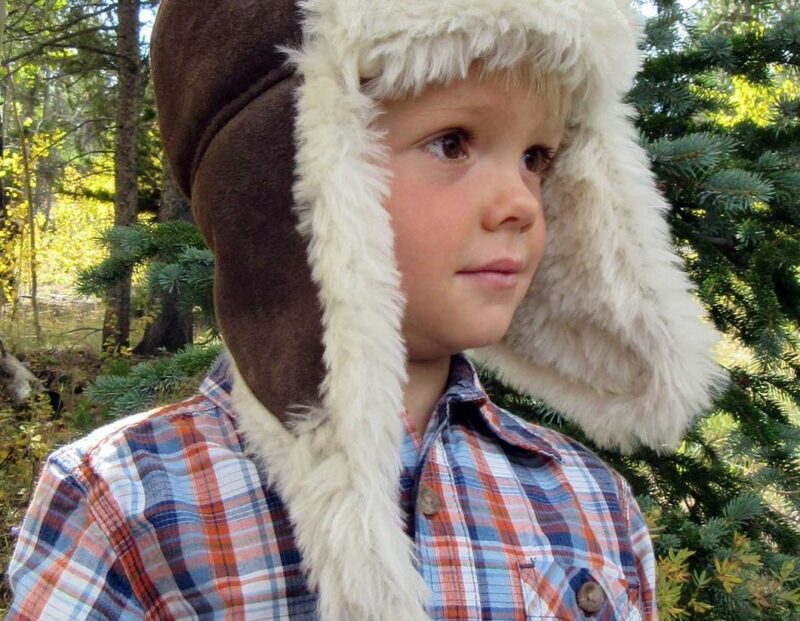 Match it with the Buckaroo Vest and mittens for a complete set. This hat is designed for toddlers and children 1 year to about 7 or 8 years old. It runs a little on the small side and I always suggest going a tad bit bigger for children so they get more use out of it. This shearling earband is the ideal sheepskin headwear for that child who refuses to wear a hat. It is extremely warm while so cute at the same time. It features a soft elastic back to make the fit more comfortable. Never worry about cold ears again. Match it with a pair of mittens and the Buckaroo Vest for a complete look. The earbands are available for Mom also. The child’s Buckaroo Sheepskin Vest is too cute for words. Boys and girls alike love the look and feel of the plush sheepskin. Wool-out seams in the front and back along with small accent pockets give it a slightly western feel. A loop with an antler button keep the shearling vest snug. 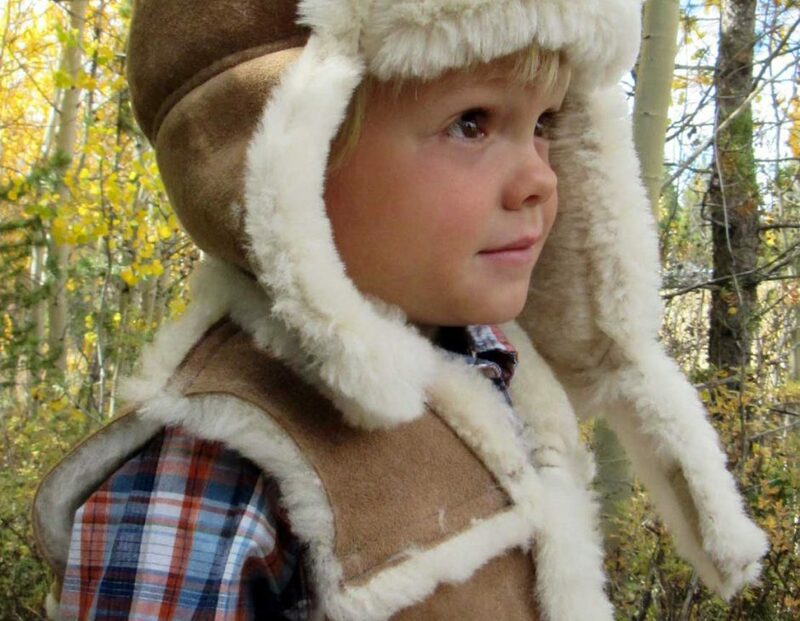 Young Buckaroos love to match up with daddy’s Mountaineer Sheepskin Vest! Please be aware that sheepskin is a natural product and as a result, each hide may be slightly different from the next. There may be slight variations in hue or texture. Also, keep in mind that each computer monitor and printer will show these colors a little differently. Protect your child from the chilling effects of winter with the undeniable warmth that these genuine sheepskin mittens provide. Sheepskin is a hollow fiber material. It wicks away moisture so your child’s hands are never cold even if the mittens get wet. They feature a D-ring and clip to conveniently attach the shearling mittens to a jacket so they won’t get lost. 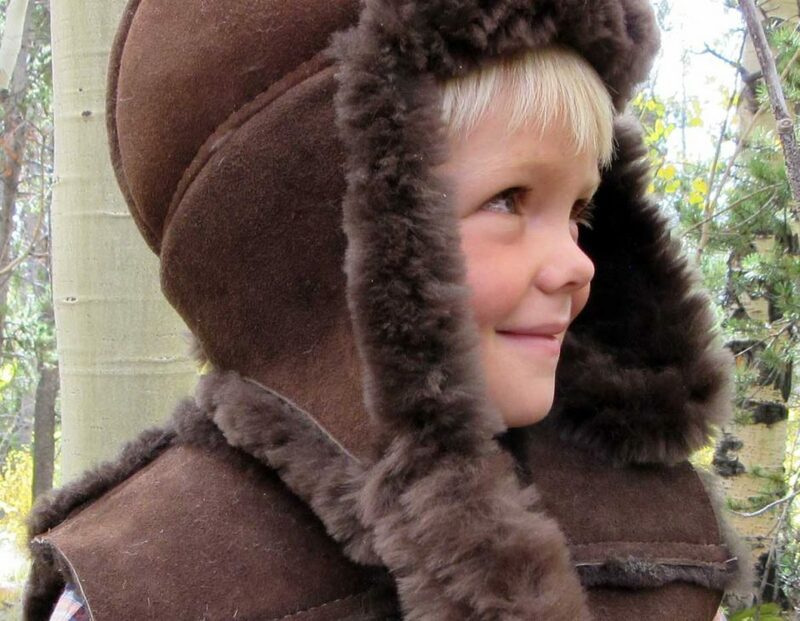 A perfect compliment to the child’s Sheepskin Buckaroo Vest or bomber hat.